If you’re like most guys, you want a few distinct things from your pre workout powder, and they all lead to the same thing – insane results. And if you’ve tried more than a few different products, you’re probably starting to get the idea that the perfect product, with the right combination of energy, pump, and power, just doesn’t exist. In the end, that may be true, but that doesn’t mean I won’t keep searching. Mesomorph from APS Nutrition has been getting a lot of buzz lately. They say the energy and pumps are insane, and on top of that it keeps your muscles working hard long after other pre workouts leave you spent. Unlike so many other products, Mesomorph uses clinical doses of the primary active ingredients in the formula. This means you’re not just getting lip service about the good it can do. More energy with no crash. No lactic acid buildup so your last rep is as solid as your first. What’s in the Mesomorph formula that makes it deliver? There are 2 ingredient complexes that make up the complete formula. Each complex is a proprietary blend, so we don’t know what the exact doses are for most of the ingredients.This is unfortunate since one of their claims to fame is that they use clinical dosing. But I will say, the total dose represented by each complex is substantial. Beta Alanine.The dose of Beta Alanine in Mesomorph is known to be 3.2 grams per serving. This is indeed a clinical dose. Beta Alanine blocks the build up of lactic acid during your workout. Lactic Acid produces a burning fatigue sensation that often causes you to feel like you have to stop pushing you muscles. Beta Alanine allows you to go further with your workout before reaching that stage. L-Citrulline DL-Malate helps remove ammonia from the body, also allowing you to work out longer and harder before hitting a state of fatigue. Another benefit of L-Citrulline is that it boosts nitric oxide production. Arginine Alpha Ketoglutarate which is a precursor to nitric oxide, which relaxes blood vessels, allowing more blood to flow through, giving you great pumps and delivering much needed oxygen and nutrients to your muscles. Di-Creatine Malate which is a form of creatine that works to prevent bloat. Creatine is basically the way ATP (muscle energy) is stored and made ready for use by your muscles. L-Taurine which helps volumize cells by pulling water and nutrients. It’s present in the body, but gets used up when you work out. Creatine Nitrate which is a form of creatine that also improves pumps and vascularity with its nitrate content. Ascorbic Acid (Vitamin C) which acts as an antioxidant that may also improve nitric oxide production before a workout. 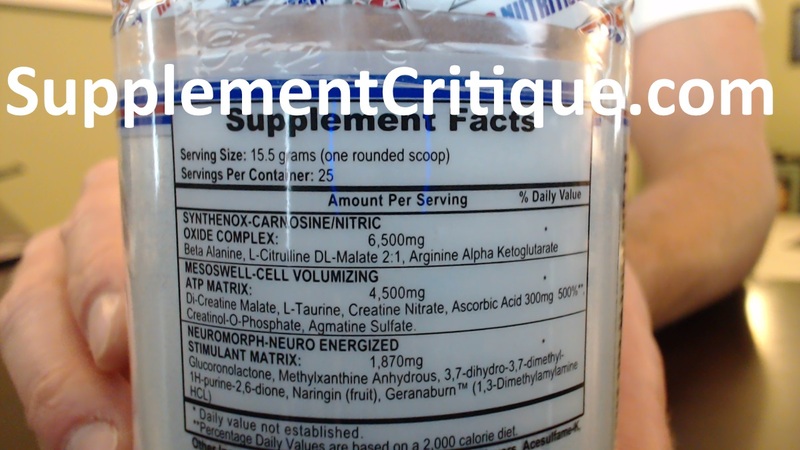 Creatinol-O-Phosphate which works similarly to Beta Alanine in that it prevents lactic acid buildup, and therefore delays the onset of muscle fatigue. Agmatine Sulfate which works by preventing the breakdown of nitric oxide in the body, effectively increasing the level. Glucoronolactone helps regulate glycogen in the body. At the dose of 1.3 grams in Mesomorph, it can improve athletic endurance as well as provide an antioxidant component. Theobromine which is a mood elevator in addition to providing smooth energy without the crash. Naringin which comes from grapefruits and may improve energy as well as blood pressure. Geranaburn (Geranium Oil Extract).This is actually DMAA (1,3 dimethylamylamine). 65Mg to be exact. It’s a strong central nervous system stimulant that provides focus and endurance, as well as superior appetite suppression. If you’re familiar with DMAA, you are probably aware of the FDA having banned it. The story in a nutshell is that in 2012, the FDA warned supplement makers that DMAA may cause side effects, and does not fall into the category of natural substances, and therefore it was banned. Most manufacturers took their DMAA-containing products off the market at that time or shortly thereafter. Subsequently, Hi-Tech Pharmaceuticals (parent company of APS Nutrition) brought DMAA back, stating that it is indeed natural since it comes from the geranium plant. Further, they state that side effects, such as increased blood pressure, are only seen at levels of 75 mg or above whereas Mesomorph contains just 65 gm. Hi Tech Pharmaceuticals is battling the FDA in court now, arguing that not only is DMAA natural, but that it is safe as well. They say they’ve sold over 100 million doses and are not aware of any serious adverse events associated with it. There had been a pending case involving the death of a soldier, but that case was dismissed in early 2016. If you do try Mesomorph, start out with a half dose to assess your tolerance and how you’ll feel when taking it. If all goes well, start increasing to a full dose slowly. I have to admit, when I saw that Mesomorph pre workout had injected DMAA into their supplement, I pretty much knew it was going to work well. 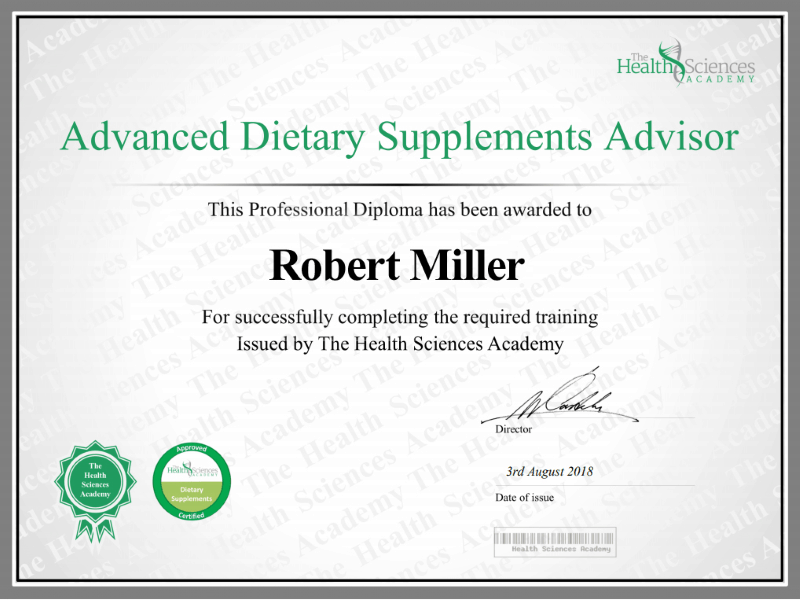 I’s used plenty of supplements containing DMAA in the past, and I have never had a bad result. In the end, my suspicions were confirmed. This stuff works GREAT! The directions on the label state that you should take things slow with Mesomorph because of one of it’s primary ingredients, Beta Alanine. If you’re not already aware, Beta Alanine can produce some weird side effects, including a burning tingling sensation. This is COMPLETELY normal, but the folks over at APS nutrition should be commended for warning people ahead of time. As such, they recommend starting with a low dose of a half a scoop. As I’m already pretty experienced with the effects of Beta-Alanine on myself, but haven’t taken it in over a year, I decided to do just that. Within 20 minutes, and about halfway to my local Golds gym, I felt a SURGE of energy come over me. What followed was probably one of the most intense workouts I’ve had in months. I happened to be doing legs that day, and I ended up breaking some of my normal squat and deadlift records. The one and only side effect I had was the comedown. It took about 3 – 4 hours to wear off, but when it did I got the usual very tired / fatigued feeling. I have to admit, though, that this is very common for me on leg day, but the comedown seemed a bit amplified. Mesomorph is only sold online. You can find it at the APS Nutrition website as well as several other online supplement retailers. At the website, the 25 serving tub costs $64.95, but I’ve seen it as low as $34.95 at some of the other retailers. The formula uses clinical doses for the key ingredients. Customer reviews are mainly positive – especially in relation to the energy it provides. It contains DMAA (which is a positive in a lot of ways) at 65 mg per serving, which is not too far from the 75 mg dose that has been shown to cause high blood pressure. Some reviewers claims the energy was too much, as in they were grinding their teeth for hours. If you want a strong pre workout, Mesomorph is definitely up your alley. Just be aware of the potential side effects and use caution.